We’re excited to tell you our 2019 Gift Guide is back from the printer and headed to mailboxes around the country. But you don’t have to wait for your copy to arrive. You can view the digital version online right now. Or you can request a copy if you’re not already on our mailing list. 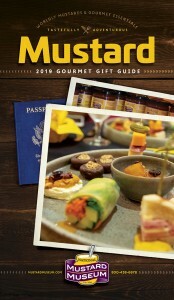 Just in time for the holidays, your Tasteful Adventure is about to begin!